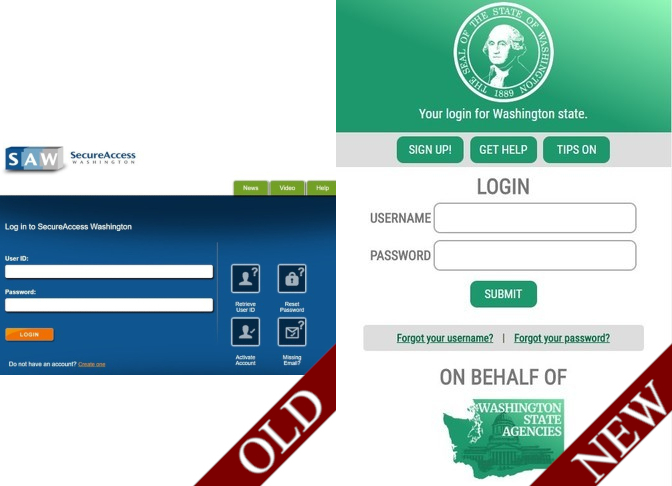 On August 3rd, the state of Washington is upgrading its Secure Access Washington (SAW) portal. The site functionality will not change, but users will notice a new look when accessing the site on this day. (Photo shown below). Users will also keep their current usernames and passwords. The site will now automatically adjust to the screen size of the device being used to access the site, meaning improved usability on phones and tablets. If you experience issues with the new site, please contact the state at: https://support.secureaccess.wa.gov/sawuser/help/contact-support.